As a lifestyle and travel blogger, it is necessary for me to bring my laptop around most of the time. Especially when i'm traveling. It is like a necessary tool for me to work on. I take my laptop on every long-distance trip, including my last one to Dubai. It is essentials for me because i need it to keep my journal, reply emails, transferring photo and videos. It is so much easier to do it on a laptop/tablet than on a smartphones. I use it to check out the sightseeing info, google about where to get good, online check in my flights etc. It has become as important to me as my passport. So, it's a MUST for me! With so many options to chose from picking the best laptop for your needs is getting harder. That's why it's important to start off by figuring out what you want to do with your new notebook. Tablet/Laptop? Now you can have both with Acer Switch 10E powered by Intel® Atom™ processor! How does it work as a tablet and laptop at the same time? Windows 8.1 (32-bit) • Office 365 Personal 1-year. Activation required within limited time. 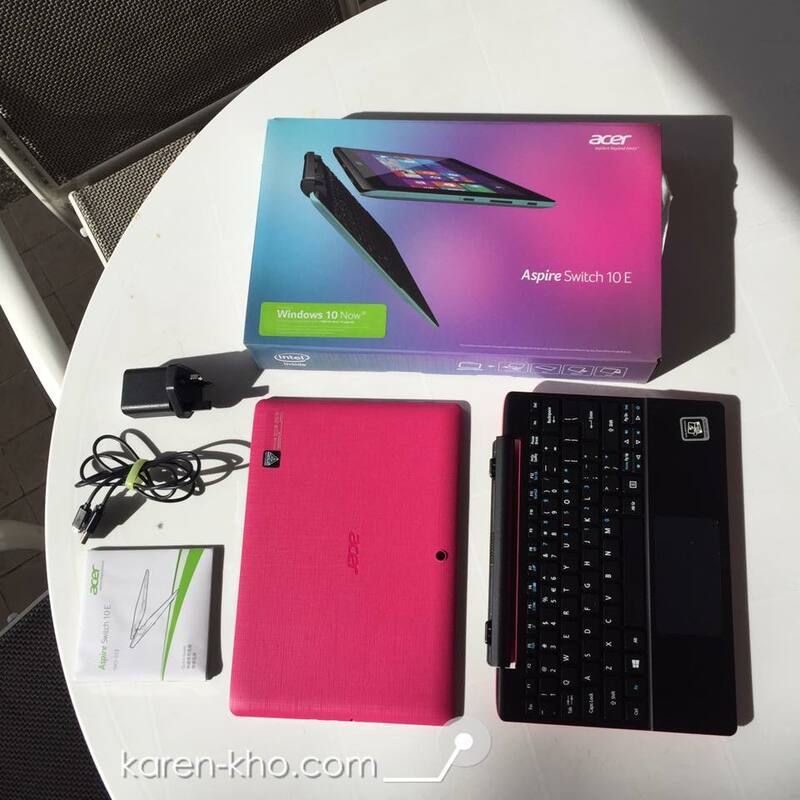 What i love the most about Acer Aspire Switch 10E? This portability of tablet can transform into a work power of laptop, just like that! This magnetic Acer Snap Hinge™ 2 allows you to snap the keyboard part on or off with a simple push or pull. So effortlessly between 4 modes - laptop, tablet, tent, and display - to seamlessly fit into every situation. This makes it easy to use whether you're at a desk, sitting or even lying down. Besides that, Acer Aspire Switch 10 E comes in a range of eye-catching colours that all work perfectly with its dynamic shape and elegant textile-pattern texturing to create an elegant look and also prevent scratches and dirt. 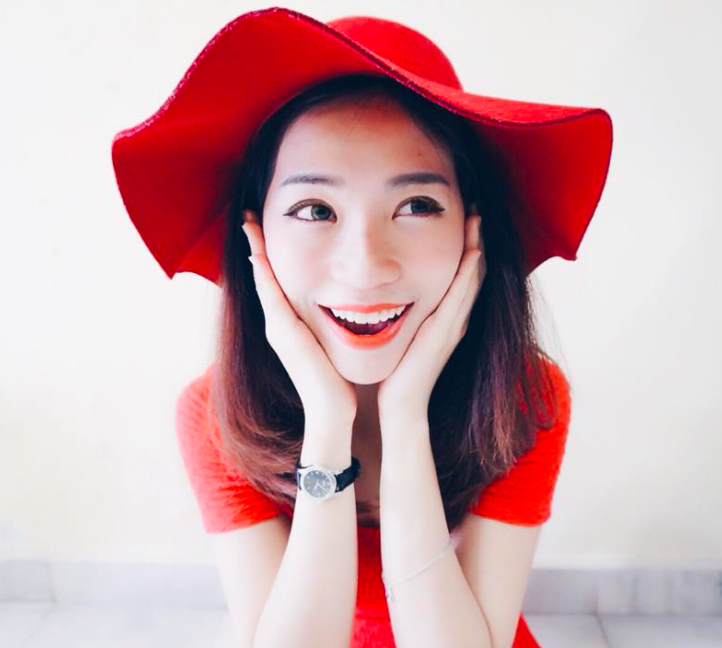 It is available in six eye-catching colors. Moonstone White, Shark Grey, Peacock Blue, Coral Red and Magenta Pink. 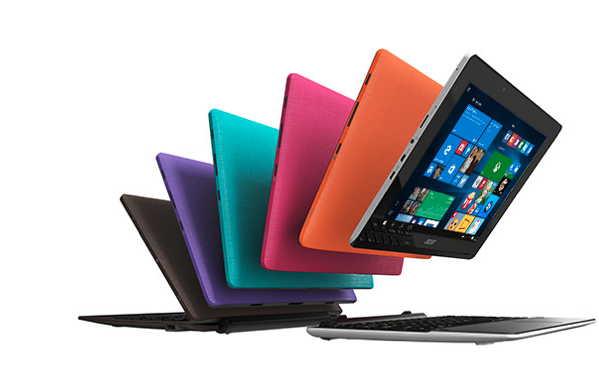 Acer SwitchLock™ it helps you to lock the keyboard dock’s HDD so it only works with the tablet part. All your HDD data will be protected and can’t be stolen. Pair the pad and dock to enjoy greater data protection when using the dock's hard drive. Acer BluelightShield™ reduces stress-causing blue light when you need to look at the screen for long periods. It suitable for people who works in front of computer screen for long time. It comes with 4 different mode which is - low reduction (18% blue light reduction), mid/high reduction (36% blue light reduction, 54% LED backlit reduction) and long hour mode for extended use. Overall, it was a good deal for me. Astonishingly thin and light 2 in 1 laptop with an eye-catching trendy design. This is also one powerful and long lasting battery life with Intel® Atom™ processor and Windows 8.1 which is quite impressive.